Whether he is accidentally cooking his brain with hand warmers or yanking his lure away from a trophy fish just before it takes the bait, Bill Heavey can do no right. 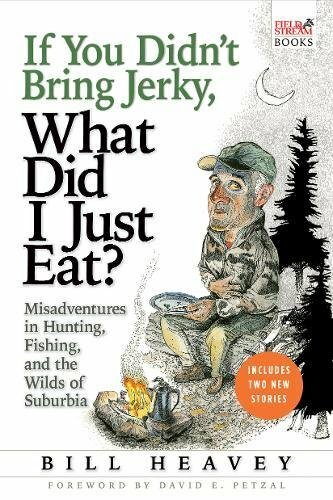 For almost a decade, he has chronicled his incompetence on the back page of Field & Stream, where his hilarious dispatches about life as a hapless outdoorsman who lives in suburbia have earned him legions of fans. But Heavey is more than a humorist. The stories in this book range from amusing tales of a modern dad struggling to navigate the finer points of parenting and married life to longer and more serious narratives that involve travel, adventure, and tragedy. No matter what he’s writing about, Heavey is a master of blending humor and pathosand wide-ranging outdoor enthusiasmsinto a poignant and potent stew.